It is only because of the series that I even know what the word "fandom" means. I had no idea about the crazy fan universe in place around this series. Then, about five years ago I was typing in all kinds of searches for HP related things, and soon I am jumping into the universe of fanfiction, HP conferences, podcasts, web sites--you name it. The great thing about Accio is that it isn't held very often. The conference is a non-profit, and all of the money goes towards charity. It is also a serious academic conference. While it is commonplace to see scholarly articles on the HP series today, at that time it was still sort of taboo. We all took it very seriously (even though we also kept things very relaxed...such as most of us wore comfortable clothing instead of suits/skirts/dresses to present...thank goodness! ), though. 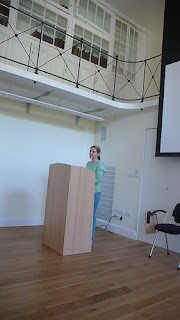 The conference was three days, and all of us presented well-researched papers and had lively debates within the halls of Magdalen College. For the most part, like I said, we were serious (so many great presentations and such smart people). But, we did all have fun (some wore costume, but not many) at the Great Feast...and it was amazing! The food was fantastic and the company even better. J.K. Rowling, because the event was non-profit and charity driven, donated all seven books, signed. We auctioned them off for the charity...and I think some lady from Nevada bought them all. Anyway, it was a great event. It hasn't happened again, but we really need for someone to take up the cause again! I am so ready for another ACCIO CONFERENCE!!! So, I have officially participated in a fandom event, but it isn't the norm. Most Harry Potter conferences are not academic, but they look like a lot of fun. As far as other fandom participation: I love fanfiction. There are some incredible writers out there and I love to come across someone who is particularly good. Of course, a good place to start is always fanfiction.net. But, there are specialized sites that are even better. 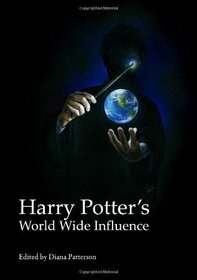 Depending on your fan interest, just spend some time looking for fanfiction Harry Potter sites. But what ties all of this together: the shared reading experience. If anyone had told me I would have been part of all of this, well...I would have laughed. I would have said that it is insane and ridiculous. In fact, even when I went to the Accio conference, I was a bit unsure of why I was going and what I would find...I just knew I had to do it. But the fan community around HP is amazing. There is something really powerful about being able to share your passion for reading and a great story. Seeing all of these people come together for a book--well, that is really powerful. At Accio, I found a community of people that simply are amazing. I loved every minute of it. So, final thoughts: if you are really passionate about a book or anything, find someone with whom you can share your passion. It is important--not freakish. In fact, fandom allows us to express ourselves in ways we might never have the courage to do so otherwise. Of course, you can come across crazy people; but, for the most part, it is a fun sphere in which you can just be yourself and indulge in whatever interests you. Seek out the fandom, people!